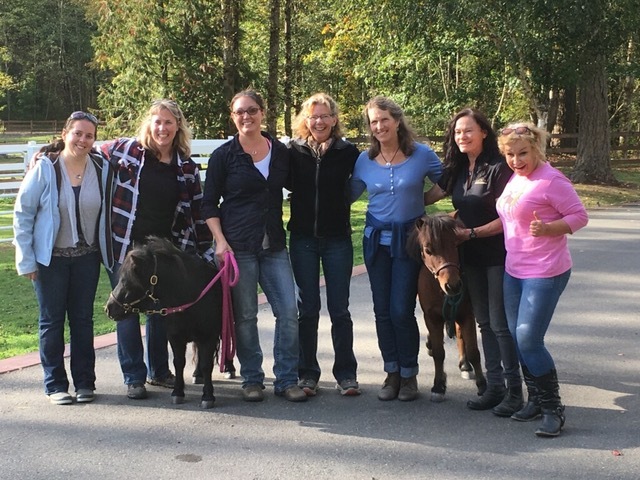 The HEAL Advanced Learning Program (ALP) provides education and support for a variety of professionals seeking to apply the HEAL model of Equine Facilitated Learning in their own coaching or teaching practice. 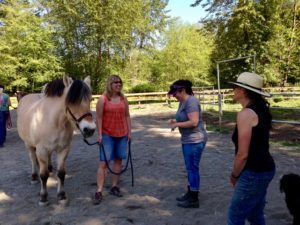 This 3-weekend course prepares participants to facilitate horse activities for experiential learning, helping clients increase relational ability, emotional well-being, self-awareness and empowerment. The HEAL model of EFL relies on the neurology of mammalian social bonding, a powerful drive in both humans and horses. HEAL exercises help humans create a bond of safety and understanding with the horse, by enhancing their innate capacities for connection. The course will help participants design an effective learning experience for non-clinical population of youth or adults, in either group or individual learning settings. 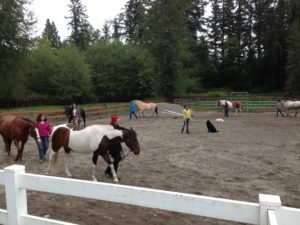 Students develop their understanding of facilitation skills, emotional and physical safety for human and horse participants, and the utilization of equine exercises and activities for the population that they serve. Program size is kept small to allow for individual guidance and support for implementing the HEAL model in a variety of settings. Prerequisite: Attendance in a HEAL Keys to Connection 3 day workshop or 8 hour private intensive with a HEAL Trainer. In each of the breaks between weekends, students will have a consultation call with one of the instructors to help support the application of their learning in their individual practice or program. There are also reading and writing assignments throughout the course.